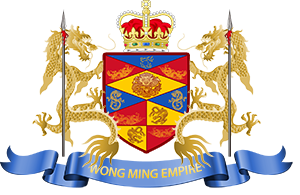 Wong Ming Empire is a micronation operated by an forum, however back in the days when the empire was established (1995), it was operated and organised by people in the real world. The nation was created by some numbers of school students in the park, and later on it was digitized and bringing the nation to an internet format. The nation is running on an constitutional monarchy system, together with the 3 realms of government ( Executive, Judiciary, Parliament). Her Majesty the Queen, Wu Chai, being elected by the Throne Affairs Committee, to be the first sovereign queen. Privy council performs the secretary duties for the sovereign. Duties includes dealing with matters concerning the sovereign, the royals and the nobles. 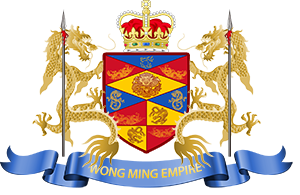 Cabinet of the Wong Ming Empire is the executive body of the nation. Departments within the executive branch includes the department of internal affairs, department of foreign affairs, department of defense, department of culture, department of economics, department of justice and regional affairs committee. The Parliament is the legislative body of the Empire. The Parliament of Wong Ming Empire follows the model similar to the Westminster parliamentary system in UK, all members of parliament are elected by vote of citizens. 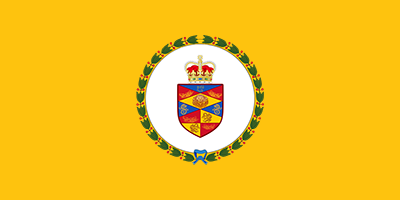 The term of office of the parliament is for 6 months, perform duties including legislating statutory laws, question members of government and vote for Prime Minister. Common law legal system was implemented in Wong Ming Empire. The judiciary consists of two parts, which are the central court and the supreme court. Judges will decide cases according to the law and facts. The Judiciary provides litigation services including civil matters, criminal matters, judicial review and other miscellaneous application. Area for publishing newspapers and multimedia, and the campus for Empire University. Discussion in topics involving history, literature and society events. An area containing all sorts of entertainment and informational threads, including chit-chat, supernatural, travel, movies, music, etc..
Area for all types of organizations, including political, business and others. Consists of the Royal Palace, Privy Council, The Executive, The Parliament and The Judiciary. Residential area for normal citizens and royals. Become a Wong Ming Empire citizen now!